The AMD-2040 Nasopharyngoscope is designed for examination of the upper airway from the nasal passage to the vocal cords. 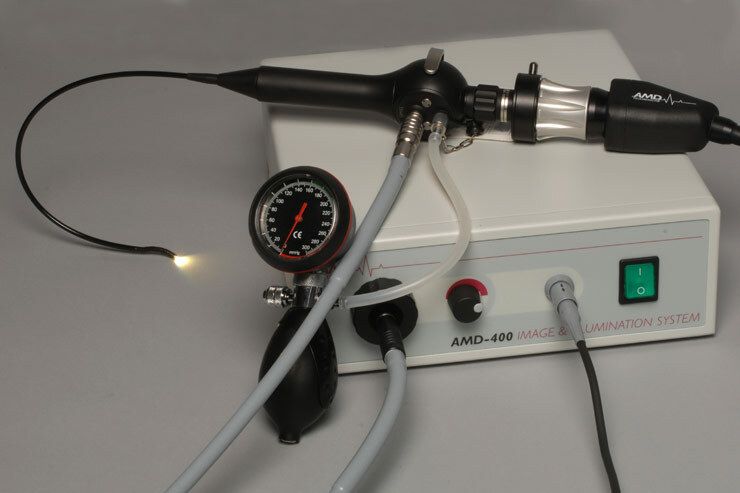 The AMD-2040 features an internal insertion tube strain relief that increases the working length of the Nasopharyngoscope, while still providing protection of the upper section of the insertion tube. The AMD-2040 connects to AMD-400s Camera & Illumination System.